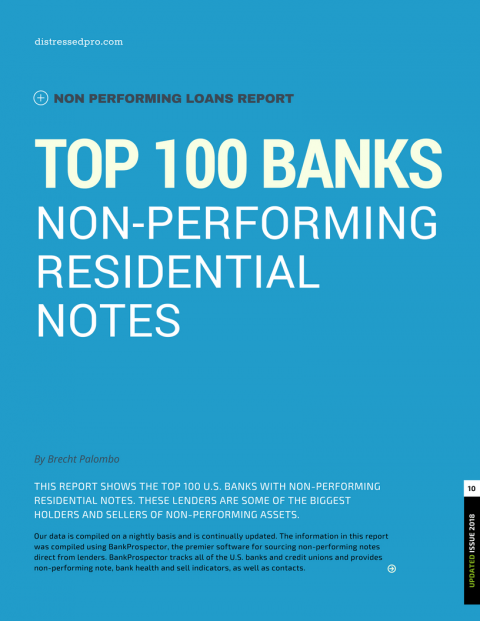 In this free downloadable report you’ll get an up-to-date list of the top 100 U.S. banks with non-performing residential notes including the name of the bank, headquarters location, and their total non-accruing residential first position liens. Non-performing residential notes can be extremely profitable for investors and buying direct from lenders helps ensure that you maximize your margins by eliminating middlemen. Making money in the note business starts with finding notes for sale. Use this list to start finding the most profitable and desirable lender direct non-performing off-market note deals.